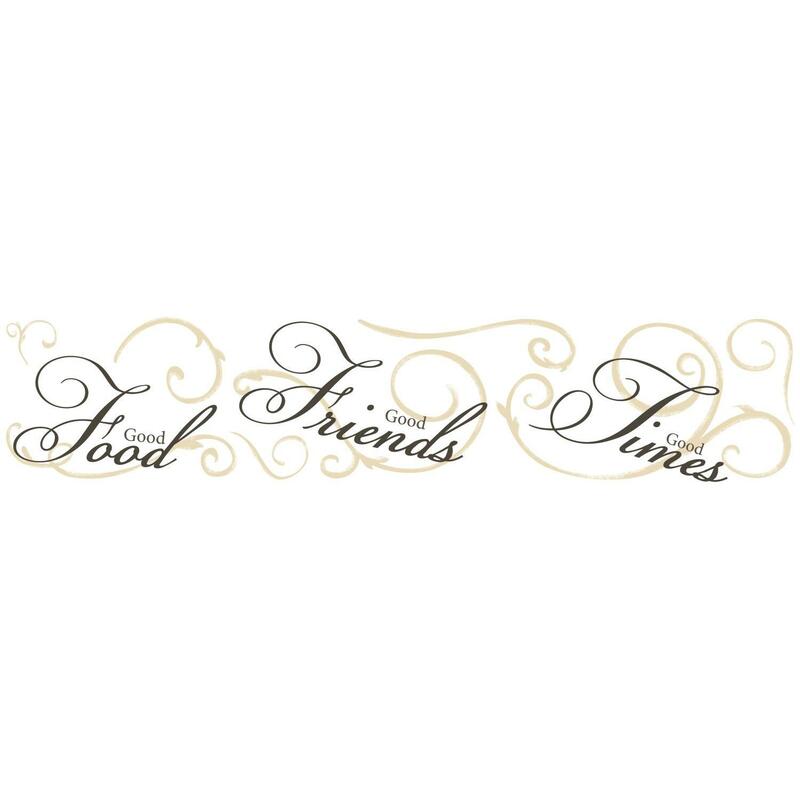 Good food and good friends will always lead to great times. 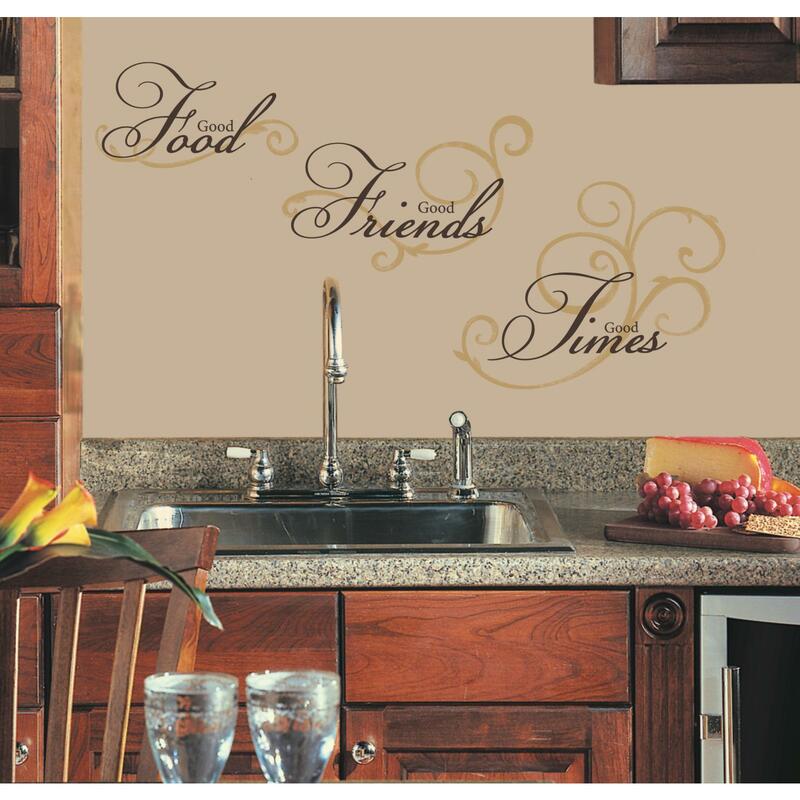 Dress up your kitchen or dining area with these removable and repositionable wall quote decals. Application is easy: just peel each pre-cut element from the sheet, then apply it to the wall (or any other smooth surface). Our removable and repositionable wall decals can be moved around any time you please, and will never pull off the paint or leave behind a sticky residue. A great gift idea for new home owners! Additional elements are included with the words and the measurements of the entire quote once applied to the wall will depend upon how you decide to apply them. Approximate measurements of each word is listed to give you an idea of your options for your completed design. Decal comes on one (1) 9 inch by 40 inch decal sheet.